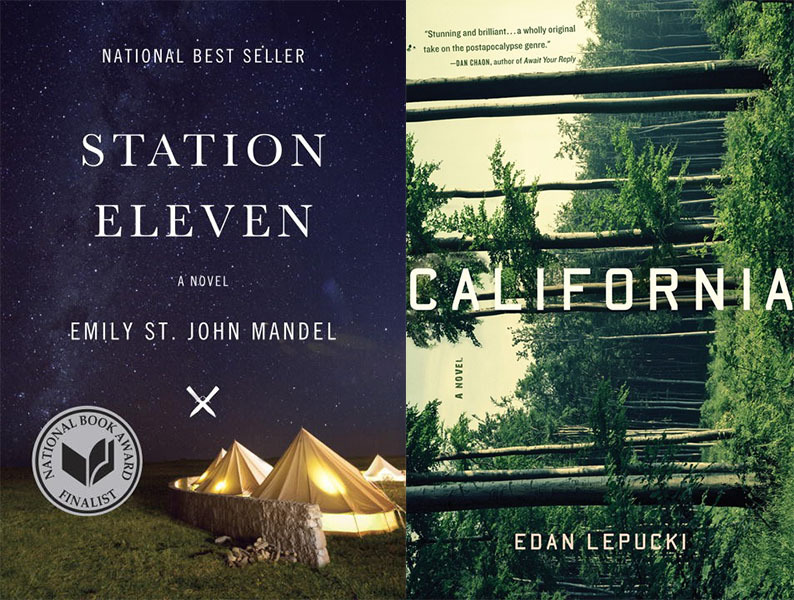 For Emily St. John Mandel (Station Eleven) and Edan Lepucki (California) that world end looks pretty similar: natural forces (disease and killer storms, respectively) ravage mankind in ways that seem pretty possible, leaving only occasional encampments of survivors, and driving some survivors to become their worst selves. But where these stories differ is in their hope for the future. In California, Cal and Frieda’s attempt to join a nearby community is fraught with danger, and their final decision (no spoilers) seems unlikely to result in a happy outcome for themselves, their unborn child or anyone else in these stitched-together civilizations. Ultimately, the people of California are practical realists, the type to face adversity by protecting themselves first, to be happy to survive at any cost, and to aspire to little else. As a reader it’s easier to root for characters who want something more. A character’s motivation is central to any story, and survival is the basest motivation of all. So the traveling theater troupe of Station Eleven, who perform Shakespeare for a series of survivor communities in a circuit around the Great Lakes region, are more inspiring heroes of the fictional apocalypse. By resurrecting the art and beauty of a lost culture they’re trying to create, in some small way, a society where people could find joy again. Apocalyptic novels may be everywhere, but few of them venture very far into a vision of what comes next, which is what set Station Eleven apart in my mind, and made it a more satisfying story in the end. It’s not hard to see how the world might come to an end, or how people might be forced to survive in the immediate aftermath of a societal collapse, but it’s much more difficult to imagine how a society might begin to come together again, and in what form.